As medical marijuana finally starts to take hold in the south, Louisiana State University has announced their search for a contractor to grow medical marijuana at a planned off-campus facility. In the spring of 2016, lawmakers in the state finally decided to expand medical marijuana access with a bill that allowed two schools – LSU and Southern University – the chance to grow the state’s first medical cannabis crops. It also expanded the list of qualifying conditions to add cancer patients, as well as those with glaucoma and spastic quadriplegia. 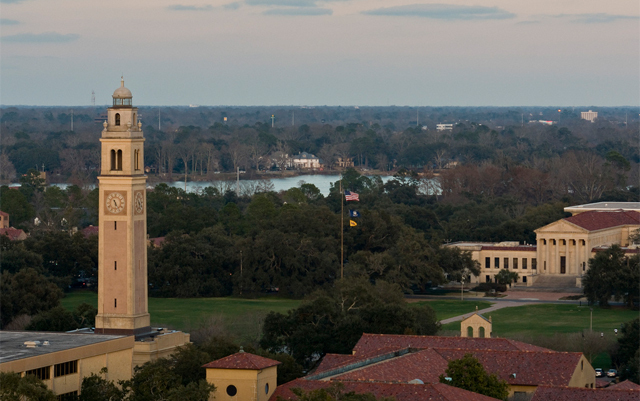 Now it seems that LSU is ready to get the ball rolling as they start their search for a contractor to not only grow medical cannabis, but also to help them build the facility where it will be grown. At this point, the facility still does not exist – and it will be up to the contractor to supply the $10 million to get it up and running in the first place. While this will definitely cost many people their dream of growing medical marijuana in Louisiana, there doesn’t seem to be a shortage of people who are willing, able and interested in the prospect. “We’ve had quite of bit of interest from a variety of people both in state and out of state,” Gauthier said. They are expecting to be able to narrow it down to 10 possible contractors, before eventually making a final decision on only one. Whoever is chosen will then be putting all the funding down to get things started – including securing a location that will be off-campus, but still technically LSU property. Even though the school will act as host to the contractor of the facility, students from the school will not actually be taking part in any of the project – which is a bit disappointing. “There will need to be a perimeter fence, for example there will be surveillance cameras both inside and outside the facility. There will be restricted access even within the facility and restricted access even from room to room,” Gauthier said. Once the location has been chosen and building has started, so do all the security measures the state requires they put in place. First of all those measures being that the actual location will not be disclosed to the public; only the fact that it will be built in East Baton Rouge Parish has been released. Security is always an important issue, especially in the cannabis industry that is in an odd shift from illegal to legal at different rates across the country, and they certainly are making sure that the LSU facility is going to be secure.